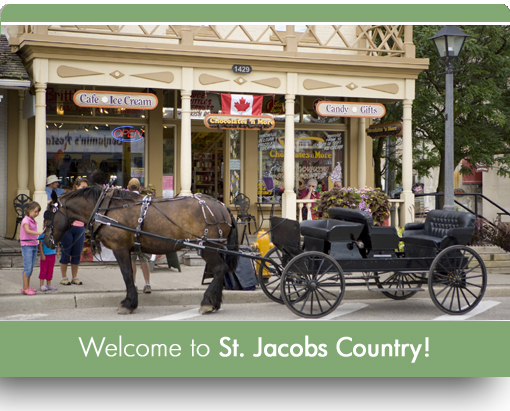 BBCanada.com | Welcome to St. Jacobs Country! “A bed without a quilt is like a night sky without stars”. 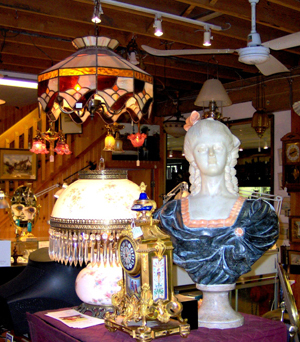 Located across the road from the Farmers’ Market, Market Road Antiques has more than 20,000 square feet devoted to antiques and collectibles, with new stock arriving daily! 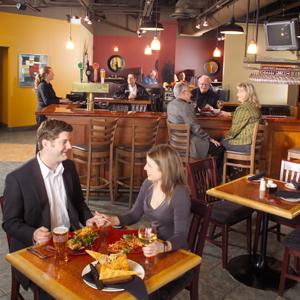 Pause at the in-house café for something delicious while you are shopping. Open daily year round. 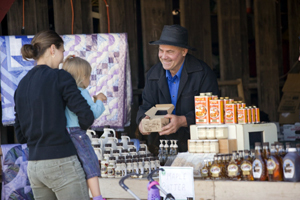 Outdoor Produce & Flea Market vendors on-site Sundays spring through autumn weather permitting. Open Thurs.& Sat. 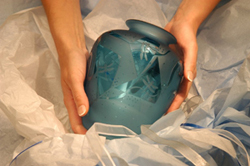 7-3:30 year ‘round, Tues. 8-3 from June 16 to Sept. 1/09. The Market is one of Canada’s largest with over 500 vendors indoor and outdoors! (Pack a cooler to transport your goodies home.) Watch live performances by talented buskers. Kids will enjoy the Market Petting Farm. Take a horse-drawn trolley tour to a Mennonite Farm. 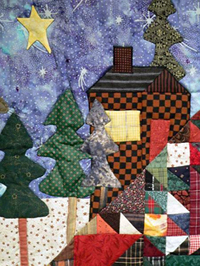 Visit ‘Quilted Heirlooms’ at the Log Cabin on the market property for custom quilts and quilting supplies. Hop aboard the ‘Waterloo Central Railway’ at the Market platform for a scenic train excursion to the Village of St. Jacobs. 30 stores OPEN DAILY, week nights until 9! Top brands and great prices will make this a stop of necessity for bargain hunters. Take a break in the Food Court upstairs. Kids will love the LEGO store’s play area and special LEGO model displays. Past and present mingle effortlessly in the Village and you can hear the clatter of buggy wheels on the street while browsing for the latest fashions in a stylish boutique! Contemporary and traditional craft studios, toys, antiques, unique ‘themed’ shops, a bakery, meat & cheese shop, galleries, gourmet foods and great restaurants are some of the businesses that populate the charming streetscape. Listen for the sound of the church carillons at noon and 6 p.m. If you are curious about the Old Order Mennonites, take an hour to see ‘The Mennonite Story’ at the Visitor Centre. 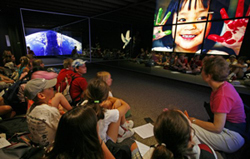 Your questions will be answered by knowledgeable staff and informative multi-media exhibits. 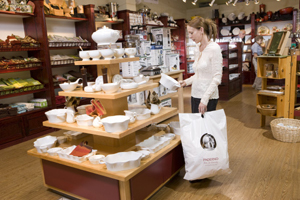 At The Mill, a number of exhibits are sure to intrigue you: The Maple Syrup Museum and St. Jacobs Quilt Gallery on the third level, the Model Railway Panorama and Model Tractor Collection on the fourth level. Tucked into the basement of this heritage building are the ‘Home Hardware Retrospective Exhibit’ and ‘The History of Electricity Exhibit’ where you can view the original water-powered turbine that once produced electricity for The Mill. Hike The St. Jacobs Portion Of The Trans Canada Trail! This footpath follows an 1860's vintage millrace that was constructed by the Conestoga River to serve the power needs of the old gristmill in the Village of St. Jacobs. A lovely 2 km walk any season of the year! 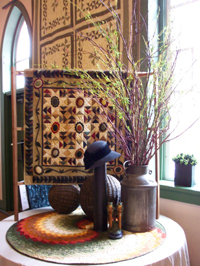 If life is like a patchwork quilt of memories…the memories you make in St. Jacobs Country will be some of your warmest and most cherished. See you soon!